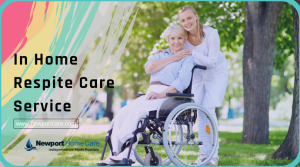 Newport Home Care is a home care service provider that offers 24/7, tailored home care services throughout Orange County and Greater Los Angeles. Our highly skilled and dedicated home health providers deliver a comprehensive range of home care services to suit your needs. When you select us as your home health provider, we begin by performing a comprehensive assessment of your loved one's care requirements. Our initial assessment involves interaction with close family members or any other involved parties of the care recipient and necessary consultations with their physician (s). We strive to get an overall picture regarding the home care needs of your loved ones to deliver them the best care possible. Our trained caregivers can assist your senior loved one to maintain their health and independence at home. They strive to assist seniors with daily living chores, such as bathing, dressing, and eating. Additionally, we provide support for activities like cooking, housekeeping, supervising one’s medication schedule, recovering from an illness or injury. At Newport Home Care Services, our team of home health care professionals includes certified nurses, therapists, or home health aides, and other trained professionals, licensed by the state. We provide the best home care assistance for people suffering from health conditions such as Alzheimer's disease, Osteoporosis, post-surgery care, or other related disorder. Our other essential services include companion care, end-of-life care, respite care, and more. Visit our website to receive more information about our excellent home care service and our dedicated caregivers.